(Nanowerk News) Precision positioning systems specialist Physik Instrumente (PI) recently introduced a new series of miniaturized, piezo-driven linear positioners at the 2015 Photonics West conference -- the world’s most important trade show and conference on photonics developments. 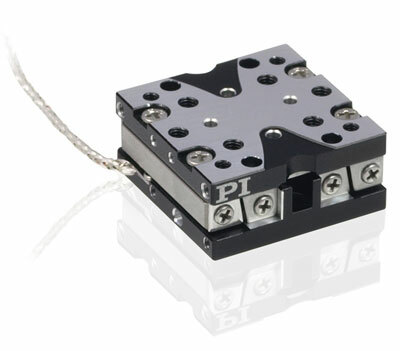 PI’s new Q-Motion positioning stages are ultra-compact, only 22mm wide come with travel ranges from ½” to 1 inch (26mm). Several options are available for the Q-522 stage series, from economical open-loop designs, to low-cost closed-loop versions and high-end feedback sensors providing 1nm resolution. PI has a long history of working with instrumentation manufacturers and can easily modify existing designs or completely customize piezo devices to fit the exact requirements of the application.